Providence Baptist Church in Raleigh, North Carolina is a powerhouse invested in reaching their region, our country and our world. After years of feeling “stuck” in their site, they came to us looking for a more flexible solution that would allow them to bring their mission to life online. 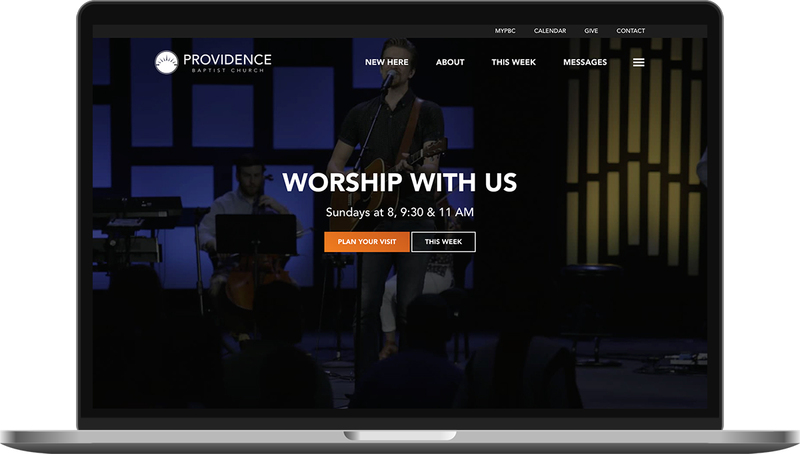 Early on the communications team at Providence let us know that worship, small groups, and missions are key aspects of their ministry that are growing and thriving. To capitalize on this insight, we built a custom homepage interaction that would bring focus to these three key areas. As you scroll on the page, the panel slides horizontally to the next. Small snippets of copy and clear buttons make the message and call to action compelling. 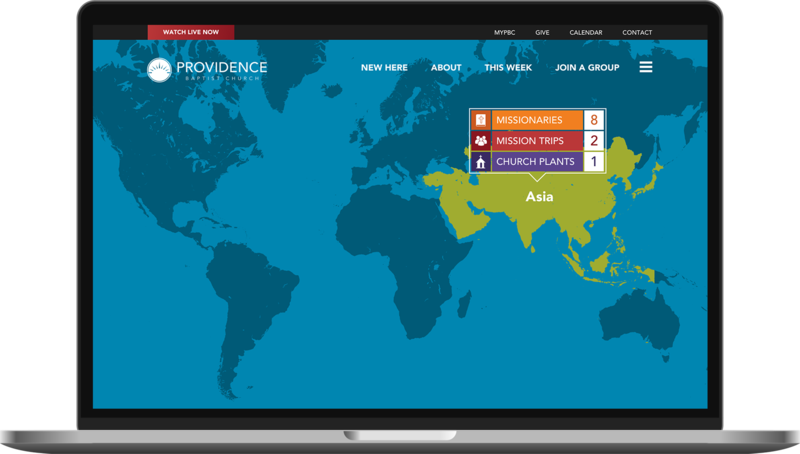 Providence has an active global missions program. We wanted to create an interactive map that would bring attention to all of the mission trips, missionaries and church plants they support around the world.